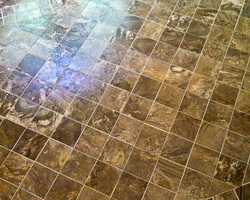 Tile flooring can transform your home's look and feel! Don't be shy about tile flooring, adding elegant backsplashes or mosaics. Existing colors and patterns are a breeze to match when you can choose from natural stone tile, quartz, ceramic, marble, porcelain and even glass tile. 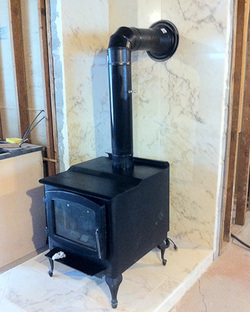 Fireplaces and wood stoves have special needs for heat resistance. ​This project was completed using marble wall tiles over concrete block to add some extra flare to the wood stove area in a basement remodeling project. Add instant curb appeal with a natural stone tile patio or a tile floor in places like gazebos and other outdoor living areas. ​This image is one of our stucco and tile chimney repair. 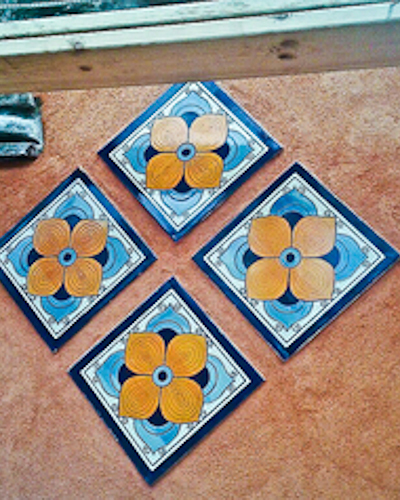 They are Spanish tiles and were a great way to go outside the box store and get creative! Stone tiles would also have been a wonderful option. This wall tile was cut for a kitchen in a subway style and followed through out along a knee wall to the adjoining living room. 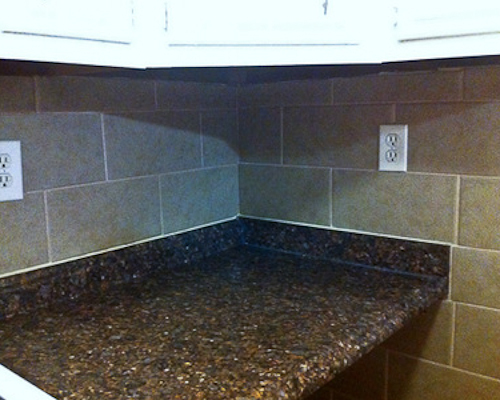 ​Tile installation costs vary based on the design and this type of cut is a more affordable option. 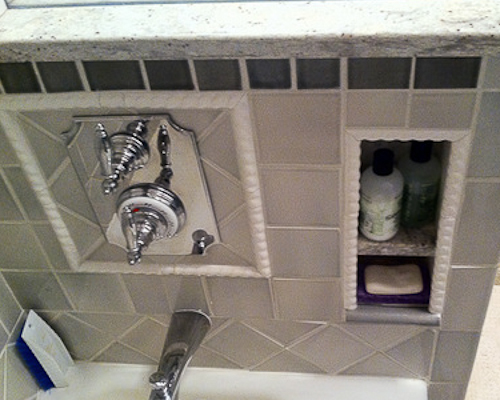 This bathroom shower tile project was completed with hand thrown Mexican tiles and includes niches and inlays. Neutral colors have never been more exciting! Follow Bill Pearn Masonry - Construction: Mason Concrete Basement Waterproofing's board Tile on Pinterest.